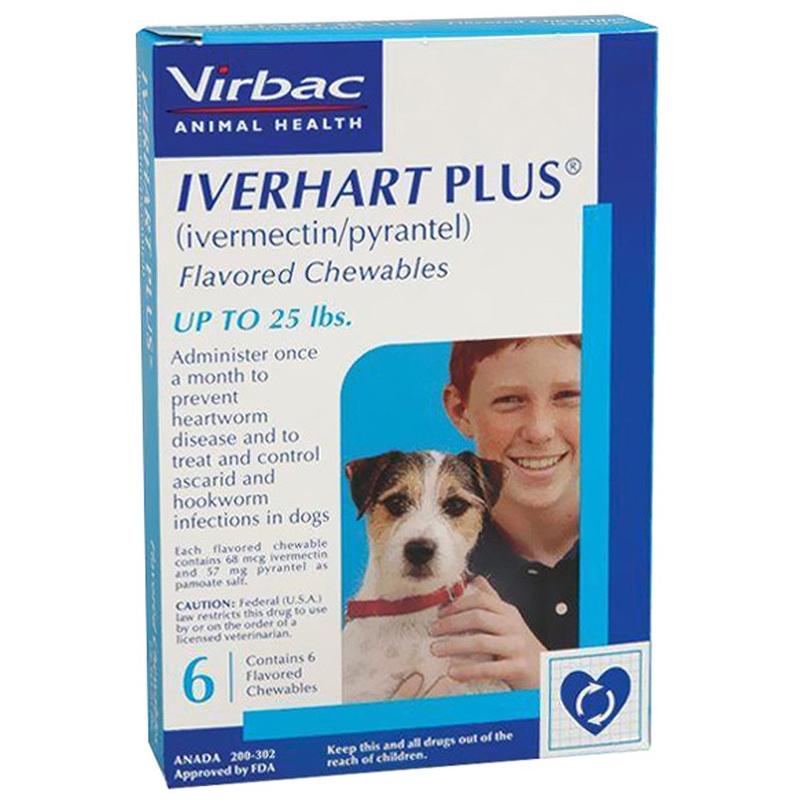 Give Iverhart Plus Flavored Chewables once a month on the same day of each month year-round. Iverhart Plus Flavored Chewables can be given by hand, mixed intact with a small amount of food, or placed in the back of your dog?s mouth for forced swallowing. View Iverhart Plus Drug Facts Sheet. Tip: Do not remove the chewable from its wrapper until ready to give to your pet. How it works: Iverhart Plus is an anthelmintic (dewormer). The ingredient pyrantel pamoate is used to treat and control roundworms and hookworms in dogs. Cautions: Side effects of Iverhart Plus are rare, but may include lethargy, limpness, salivation, shaking, diarrhea, decreased appetite, licking lips, and belching. 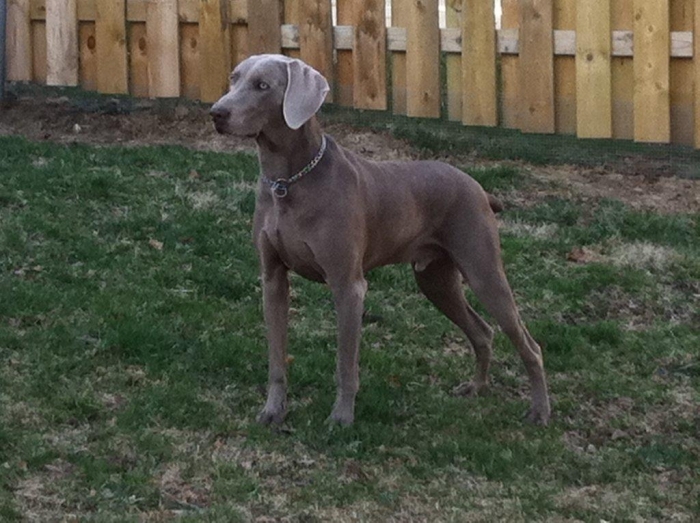 Don't give your pet Iverhart Plus if already giving a different heartworm medication. Iverhart Plus has always protected my dogs at a competitive price. Blue & I thank you. The IVer heart medication is a easy to give and The ordering process is simple. It was fast getting it here. Great prices and very responsive. Great price for a great product! Thank you very much! This is the second time I have ordered this product, and am very pleased with it. It is SOOO much cheaper than at the vet. I am very happy giving all 5 of our Chihuahuas Iverhart Plus for their heartworm prevention medication. I always have our "girls" checked annually at the vet's office and they all have never had any issues with heartworms. I feel confident that as long as they receive their monthly dosage of Iverhart, they will never have a heartworm problem. They all like the taste and take the medication without any problems and that in itself is a major plus. Vet recommended these as an alternative for the out of stock Iverhart Max and our boxer eats them up without any coercing with treats. Online service from Entirely Pets was prompt and price was great too. I love that they call my vet for apporval, make up the Rx and send it to me with a minimum of fuss and a maximum of discounts. I would recommend Entirely Pets Pharmacy to anyone. Blue likes the tablets and thinks they are a treat. They work with no side effects. ConsHave to fight with dog to take it. purchased pill containers to help hide & disguise pill. Would be nice if they were beef or chicken flavored. My dog eats them right up like they are a treat, and she is a picky eater!